Dr. Michelle Fisher, from Florida E.N.T. & Allergy, speaks with The Now about an over-the-counter inhaler, recently approved by the FDA. Florida E.N.T. & Allergy's Dr. Scott Powell talks about at-home lab tests with The Now. Florida E.N.T. & Allergy's Dr. Keith Basler weighs in on the dangers on cotton swabs with 10News WTSP. Learning how to balance can be a difficult thing for some. Click on the link to learn how Florida E.N.T & Allergy is coming together to find a solution for patients in the Tampa Bay community. Florida E.N.T. & Allergy's, Dr. Scott Powell, recently sat down with Bay News 9 to discuss the risks off taking opioids following surgical procedures. 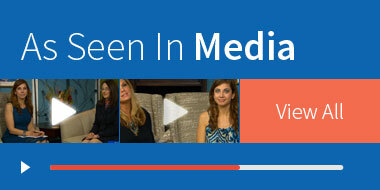 Watch the video below to learn what our team is doing to reduce the need for opioid use. Monica Ann Barnes's Practice has been recognized as one of the top Riverview Audiology practices. Florida E.N.T. & Allergy's Dr. Michelle Fisher recently sat down to chat with life coach and motivational speaker Dr. Jaime, to talk about allergies, and the best ways for patients to find relief. Listen below. TAMPA, Fla. – April 13, 2018 – What would your world be like if you lost the ability to communicate with your voice? The voice has enormous value to each of us, providing a unique ability for us to interact with those around us every day. For some, like singers, news anchors, actors, teachers, call center or sales professionals, the voice is also a source of livelihood. The Florida Center for Voice & Swallowing will recognize World Voice Day on April 16, 2018, a worldwide celebration of the voice and its importance in our lives. The day is designated each year to increase awareness about vocal health, to educate and to inspire the public to take action to improve or maintain good vocal health habits. The voice is a fundamental tool for emotional communication and is highly significant in how we form relationships with others. Beyond emotional expression, we also use it to relay wants and needs. Voices help to shape who we are, through their own characteristics and through the words they help to shape. The Florida Center for Voice & Swallowing is dedicated to helping individuals optimize their voice, whether it is identifying a problem, helping to treat it or putting patients in touch with other people that have similar voice problems for support. Vocal health is often overlooked and misunderstood. Symptoms of a voice problem may include roughness, hoarseness, discomfort to talk, strain or loss of control, effortful talking or loss of the voice altogether. Some are potentially serious signs, and the cause of any persistent voice change should be determined. Someone experiencing difficulties should be evaluated by a voice specialist. “A person’s vocal health is critical to effective communication and quality of life. We are excited to be able to provide high-level subspecialty care for voice disorders in the Tampa Bay community,” stated Laryngologist and Director, Daniel Vincent, MD. “The Florida Center for Voice & Swallowing is dedicated to the diagnosis, treatment and management of voice disorders, and also to education about keeping the voice healthy.” The physicians and speech pathologists at the Florida Center for Voice & Swallowing have the experience and technology needed to precisely diagnose and measure the degree of voice impairment or loss, and to offer a wide range of surgical and non-surgical treatment options for voice-related problems. Florida E.N.T. & Allergy and the Florida Center for Voice & Swallowing The Florida Center for Voice and Swallowing specializes in the diagnosis and management of voice and swallowing disorders, offering the latest technology and a coordinated team approach to patients. It is a dedicated center of excellence at Florida E.N.T. & Allergy, the region’s premier single-specialty ear, nose and throat practice. 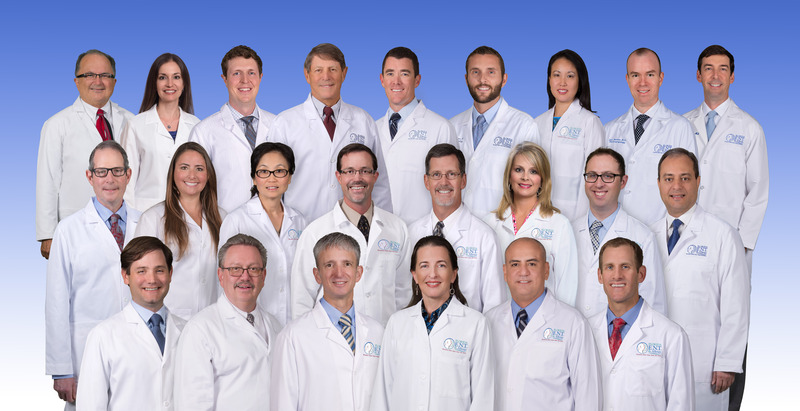 With board certified ENT physicians in 11 convenient locations, our experienced team specializes in all aspects of ear, nose and throat care to address your concerns.